I have taken it upon myself to take this time off from work to learn some things that I probably should already know. Ie: how to use Netflix (turns out it isn’t rocket science), how to use my new slow cooker (lesson number one: the high setting is not the same as the low setting, and the two are not equivalent when cooking mac and cheese), and how to use Instagram. When both of your parents are quicker to adopt technology than you, I think that is a bad sign. Yes, I have had pocket dials (with the sounds of what I interpret as crows in the background? ), and empty text messages…but my parents have embraced the iPhone, and I took this as a sign from the universe that I should finally do the same. I have had my new iPhone 5 for three months now, but can I actually do anything other than dial a phone number or play Sudoku? No. Finally, I have decided to try to use this expensive paper weight that I constantly forget at work and allow the battery to run flat. I am trying to get better, I swear! Long story short, I have set up myself a fancy new Instagram account, tried to take a few pictures, and promptly become addicted. Sigh. Another internet addiction…just what I need. Another thing I’m addicted to lately? Ginger cocktails. First I used ginger in a Pear and Ginger Margarita. Then I used it in Cranberry Ginger Cider Cocktails. Recently I made Cranberry Ginger Fizz cocktails (which by the way is also very good as a Pomegranate and Ginger Fizz Cocktail). Here I am presenting yet another ginger cocktail. With Pear. 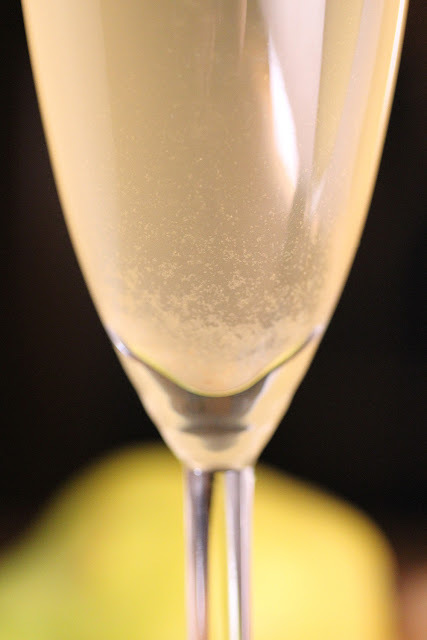 Similar to the margaritas, yet different…delicate, fizzy, and with champagne. This cocktail uses the same simple syrup that I used for the Pear and Ginger Margaritas and the Cranberry Ginger Fizz cocktails. 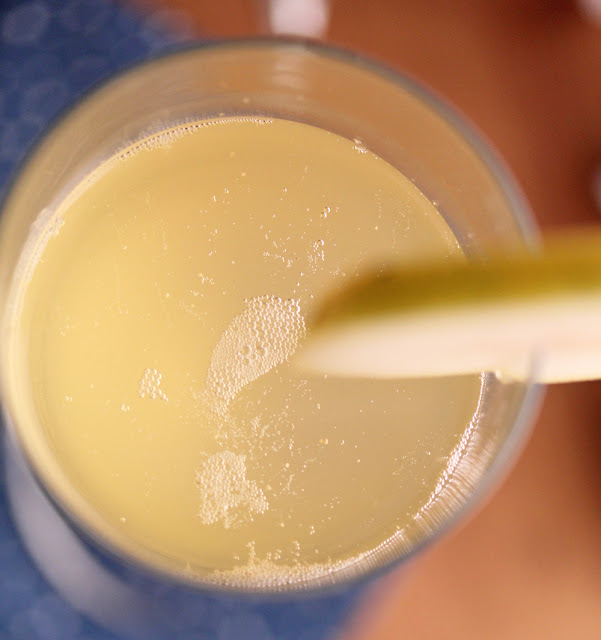 So, if you go to the effort of making this simple syrup (which is downright simple…ha ha), you now have three wintery cocktails you can use it in. Plus, it keeps in the fridge for a month or so…although mine is always gone before that. 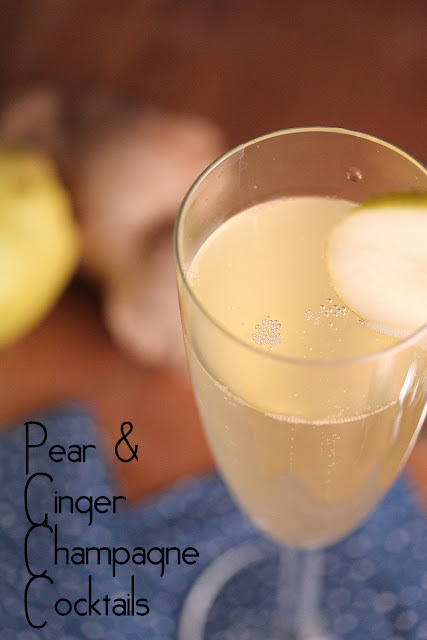 I initially tried to make this cocktail similarly to how I made my Pear and Ginger Margaritas…by pureeing a pear. While this worked for the blended margarita, it did not work so well for this champagne cocktail. 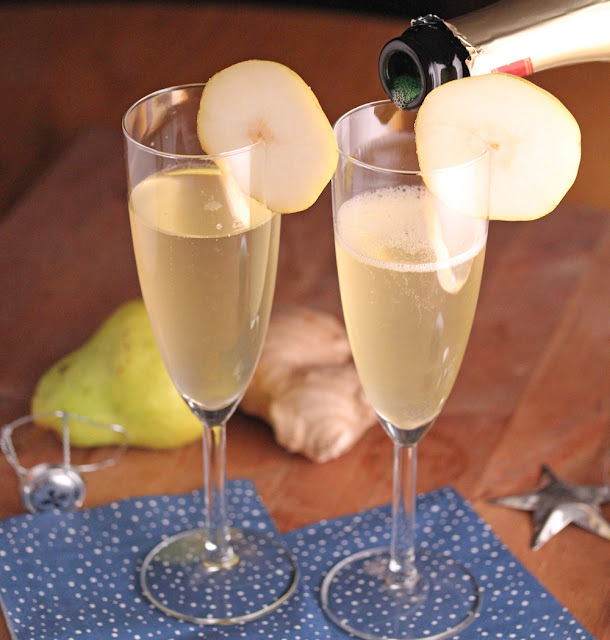 Bits and pieces of pear are not so appetizing with the smoothness of champagne. Therefore I had to trek down to Safeway and find myself some actual pear juice. Believe it or not, it lives in the baby food aisle. This is definitely the first time I have hunted down bar ingredients in the baby food section. This cocktail is simple, and beautiful in its simplicity. 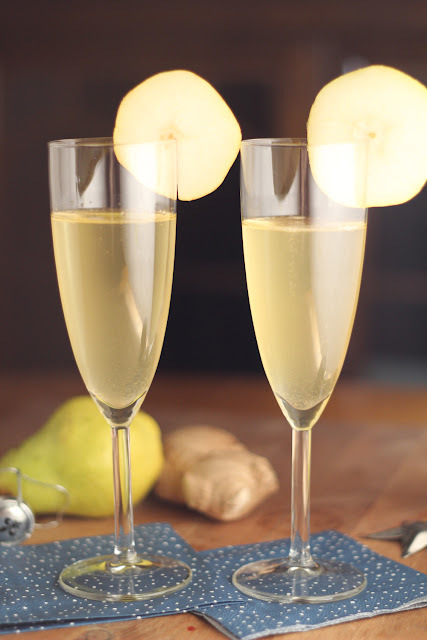 The pear and ginger flavors are subtle, and mingle so nicely with the champagne. Peary, gingery, sweet and fizzy. This makes such an elegant cocktail for New Years. 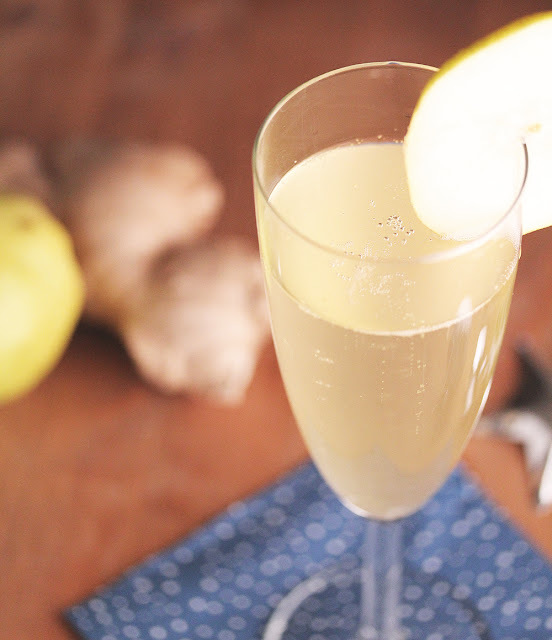 A delicate cocktail that mingles the flavors of pear and ginger with bubbly champagne. 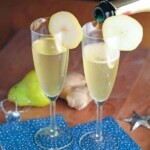 Pour pear juice and Ginger Simple Syrup into the bottom of a champagne flute or glass. Fill with champagne. Enjoy!